Well yes, this is true, but ONDCP was created in 1988, so why is 1985 used as ONDCP's base point? The answer is simple, because drug use was higher in 1985 than 1988. In fact, drug use peaked in 1979 and declined significantly until around 1988 (which was when ONDCP was created). After 1988, drug use shot up again during the 1990s, and then declined during the 2000s, with drug use at around the same level today as it was in 1988. So by starting the statistical analysis in 1985, ONDCP can avoid having to face some uncomfortable questions about the purpose of its own existence3. And, as is well documented by Matthew Robinson and Renee Scherlen, ONDCP misrepresents drug war statistics quite frequently. ONDCP’s reaction to its own abject failure is indicative of what really drives the drug war. The most obvious reason why ONDCP might be compelled to misrepresent the facts on the drug war, is that ONDCP and those work for it, are concerned about their own bureaucratic survival. The careers of the people working in ONDCP rely on outsiders in government and in the private sector viewing their actions favorably. If ONDCP were to admit its failure (and by extension the failure of all those involved in supply side drug control policy over the last 30 years), then ONDCP might be eliminated and those who work for it would lose their jobs. Worse, after becoming unemployed they would be hard pressed to advance their careers in the vast NGO, law, and lobbying sectors that would view their uncouth behavior with scorn. In the chaos of the drug war it is easy to repress farmers and the working poor. Until earlier this year, another company that benefited significantly from the drug war in Colombia was agricultural behemoth, Monsanto. Beginning in 1978, Colombia used a highly concentrated form of the Monsanto produced pesticide, Roundup, in its crop eradication campaigns. Given that by 2002, 14 percent of the entire land area of Colombia had been sprayed with Roundup, one can assume that Monsanto made quite a bit money from its pesticide sales. Additionally, the crop eradication efforts often targeted ordinary farmers growing legal plants. Monsanto, (currently represented by Hillary Clinton’s former employer, the Rose Law Firm) profited from “accidental” crop eradications by selling Colombian farmers its Roundup resistant seeds to protect their plants in the event of accidental fumigation. Just as Monsanto profits from the drug war, so do the officials at ONDCP and hundreds of thousands -perhaps more than a million- criminal justice professionals from the US to Colombia advance their careers by waging the drug war. 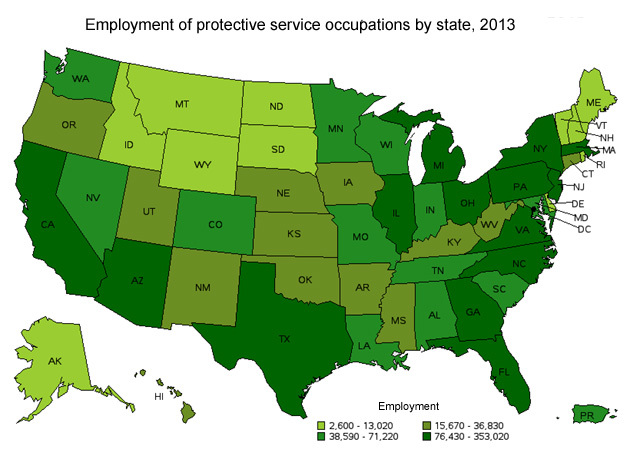 Huge swaths of people working in the law, defense, and prison industry rely on the drug war for employment. And the lobbying power of these professionals is substantial. Of all industries that donated to Barack Obama’s 2008 Presidential Campaign, lawyers and law firms ranked #1 with over $46 million in donations. In addition to lawyers, there are well over a million law enforcement officials and agents whose jobs rely in large part (or totally) on the continuation of the drug war. Included in this list are members of the Drug Enforcement Agency, Federal Bureau of Investigations, US Marshals Service, Immigrations and Customs Enforcement, IRS, Bureau of Alcohol Tobacco, Firearms, Explosives, US Coast Guard, Bureau of Federal Prisons, and others. Defense contractors who provide weapons and develop new technology to head off the overblown epidemic of super smugglers benefit with lucrative contracts. Careerism extends to Colombia as well. Careerism in the drug war takes many forms and is international in scope. To put it simply, the drug war continues because of the support it gets from many powerful interest groups whose motivations are not necessarily related. Well paid professionals and multi-national corporations are capable of influencing government policy, and the so the drug war continues. Meanwhile, the victims of the drug war, the poorest and most oppressed peoples of North and South America, are politically weak and so are simply ignored. 4. 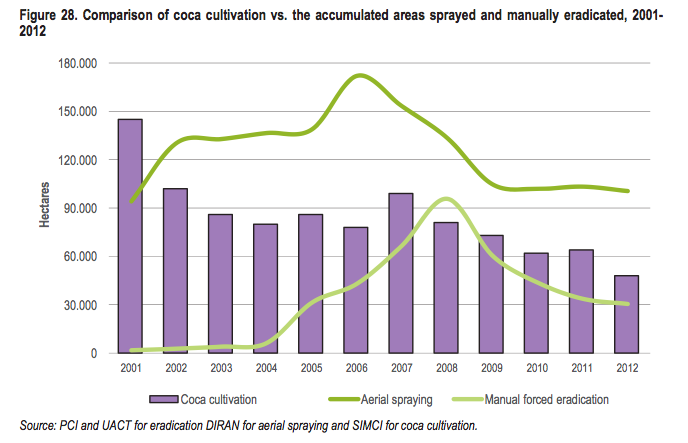 And while Colombian coca production did eventually decline significantly, this decline was offset by the increase in coca production in other South American countries bordering Colombia. ONDCP likes to brag that after 2007 the price of cocaine in America has increased making it harder to acquire. And while this may be true, the increase in cocaine prices also coincides with the growing problem of prescription drug abuse leading Robinson and Scherlen to suggest possible drug substitution. Coincidentally, Colombian coca growth and production has decreased in direct relationship to the decrease in US funding for Plan Colombia. 5. Mysteriously, despite repeated claims that FARC was primarily responsible for Colombian coca growth and production, as already noted the Colombian coca sector grew from 2000-2006 a time when FARC suffered massive setbacks. 6. Paley, Dawn. Drug War Capitalism. 76.